Acetyl-L-Carnitine is a modified amino acid that supports cellular energy production by assisting in the transport of fat into the mtichondria where it is oxidized and converted into ATP (chemical energy from the cell). 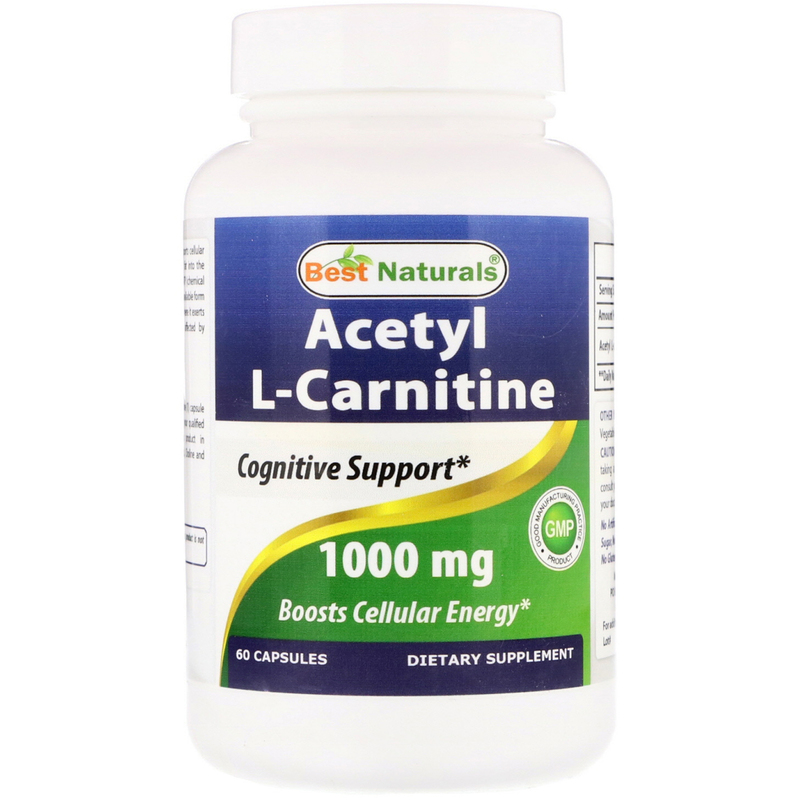 Acetyl-L-Carnitine is a highly bioavailable form of L-Carnitine that can cross the blood-brain barrier, where it exerts and antioxidant effect, helps to protect neurons affected by superoxide radicals. Supports healthy cellular energy metabolism. Supports brain & nervous system function. As a dietary supplement, take one (1) capsule twice daily, between meals, or as directed by your qualified healthcare professional. 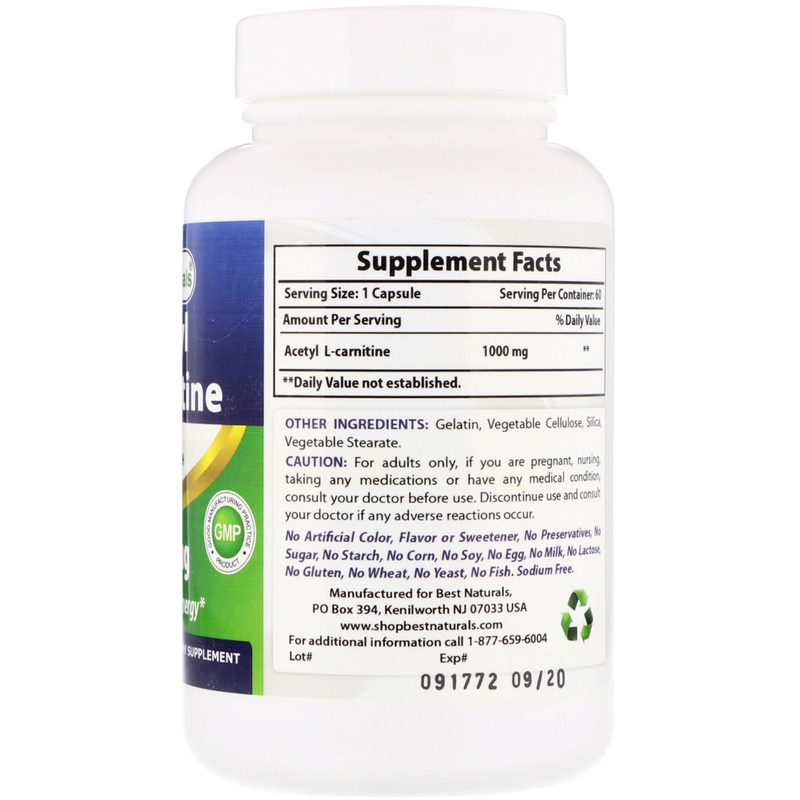 Consider taking this product in combination with Best Natural Pantothenic Acid, Choline and Mind Alert. Gelatin, vegetable cellulose, silica, vegetable stearate. Caution: For adults only, if you are pregnant, nursing, taking any medications or have any medical condition, consult your doctor before use. Discontinue use and consult your doctor f any adverse reactions occur.